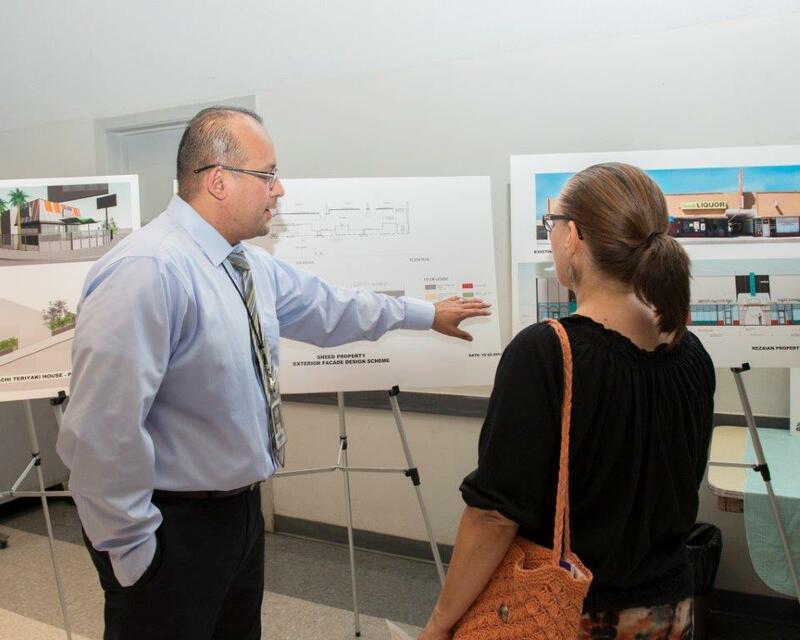 Supervisor Mark Ridley-Thomas provided a progress report on the ongoing Slauson Corridor Revitalization Project during a community meeting this month, drawing enthusiastic responses from residents and business owners in View Park, Windsor Hills and Ladera Heights. “Revitalization does not come quickly, but we are well on our way,” he told a crowd of about 200 at Knox Presbyterian Church. $18.9 million for four major park improvements. 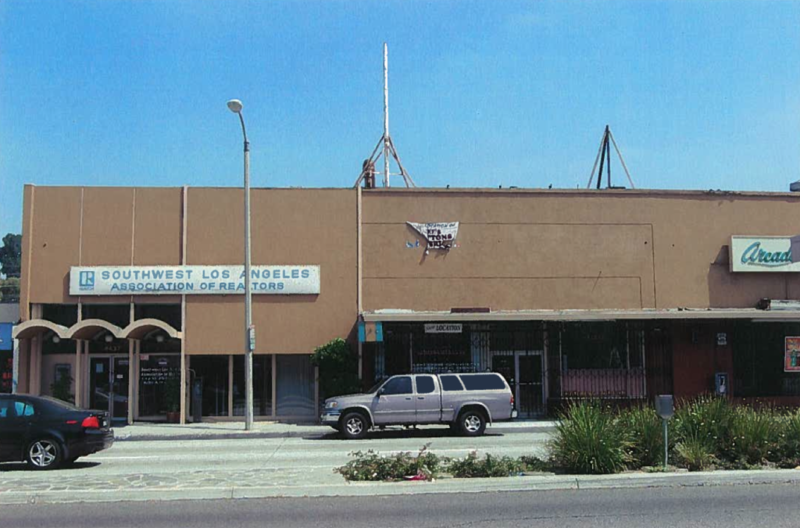 To date, 10 storefront facades on the south side of Slauson Avenue between Angeles Vista Boulevard and La Brea Avenue have been upgraded at an average cost of about $20,000 per business. Bonnie B’s, Glamour Girl, CJ’s Elegance were among the establishments that received a fresh coat of paint, as well as new display windows, signage, awnings and lighting. The changes are already having a positive effect on the community. “We’ve heard from the Sheriff’s Department that crime is down, and that business is good,” said Supervisor Ridley-Thomas. Another 10 facades, this time on the north side of Slauson Avenue from Angeles Vista to Overhill Drive, will be renovated this fall through spring 2016. Sights are also set on working with property owners to renovate the Windsor Hills Shopping Center Parking Lot, just north of the street. 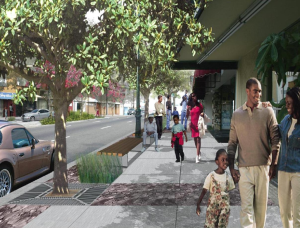 Due to begin construction in Spring 2016 are streetscape improvements on Slauson Avenue that will make it much more pleasant for patrons to walk, bike and shop along the corridor. Specific improvements include road resurfacing; bike lanes; new trees, lighting, benches and trash receptacles; decorative crosswalks; and drought-tolerant landscaping on medians. Once those are completed, construction will begin on similar streetscape improvements on Overhill Drive, with completion expected sometime in summer 2018. Meanwhile, work is underway on the Stocker Park and Hahn Park segments of the 13.2-mile Park to Playa Trail that will connect the greater Baldwin Hills to the Pacific Ocean. A trailhead will soon open at Stocker Avenue, along with a connection to Rueben Ingold Park. Scheduled to begin soon are renovations to the Kenneth Hahn Community and Interpretive Center, which the public can enjoy by spring 2016. In October, construction will also begin on Stoneview Nature Center in Blair Hills – which will have native gardens, a community kitchen, and many other unique amenities that are new to the Second District. For too many years, the Slauson corridor, which stretches from La Brea Avenue to Angeles Vista Boulevard, has been a thoroughfare not a destination. But residents of View Park, Windsor Hills and Ladera Heights long to turn this corridor into a neighborhood hub. 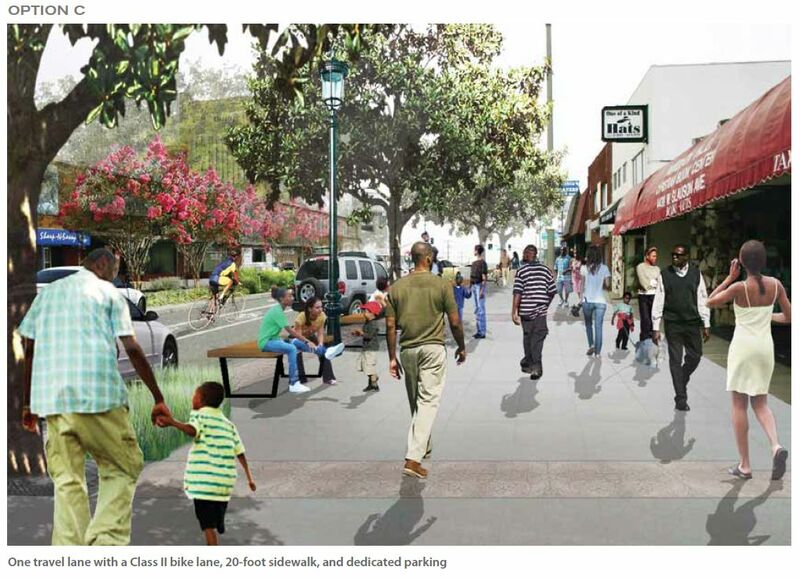 The Slauson Corridor Revitalization Project, spearheaded by Los Angeles County Board of Supervisors Chairman Mark Ridley-Thomas, includes plans to make the area more pedestrian friendly and a destination neighborhood hub for local merchants and community residents. 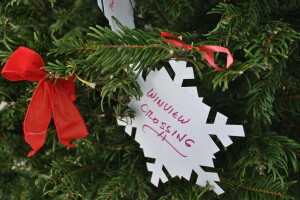 These names were the top vote getters on December 15th, when residents of these neighborhoods gathered for a stroll around the area to kick off the holidays, listen to some live jazz, patron local businesses, enjoy holiday treats and place their vote on the name they liked most. Many thanks to CJ’s Elegance and all of our local partners for making the event such a success! The Slauson Holiday Stroll was the last in a series of creative engagement events hosted by Chairman Ridley-Thomas in partnership with the Los Angeles County Arts Commission and the local arts non-profit, LA Commons, which aims to identify and celebrate the unique and historic characteristics of the View Park, Windsor Hills and Ladera Heights neighborhoods. The information gathered at these events will be used by the environmental design firm, Sussman/Prejza, to develop a brand identity and some timely aesthetic improvements for this section of the Slauson corridor. Please vote by January 25, 2013. The winning name and branding concept will be presented to the community in early 2013. Can the Slauson Corridor a become destination instead of a pass-through area for traffic? Yes. It can be a neighborhood jewel and a central city square like any other — perhaps with coffee shops, bookstores, shops and restaurants. Maybe a grocery store or a community center belongs on the stretch of Slauson reaching from Angeles Vista to La Brea. With creative planning and community support, the junction of some the city’s most well-to-do neighborhoods including View Park, Windsor Hills and Ladera Heights, can become a Larchmont Village or a Leimert Park. Who knows, maybe it becomes View Park Village or Windsor Hills Square. The Office of Supervisor Mark Ridley-Thomas is spearheading the Slauson Corridor Revitalization Project, which is striving to make a new vision for the neighborhood a reality. Task forces have been working to determine how best to significantly improve the quality of life for area residents. Streetscape improvements are already underway to make the corridor safer for pedestrians, in addition to cars. Students studying business, urban planning, and real estate at USC and UCLA are putting together proposals for the annual NAOIP Real Estate Challenge that focus on how to bring new development to the corridor. 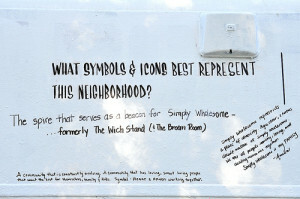 Also, last Sunday, residents expressed themselves creatively at the Mobile Mural Lab that was parked at Simply Wholesome. Participants drew and wrote down their ideas and memories about the communities surrounding the Slauson Corridor. 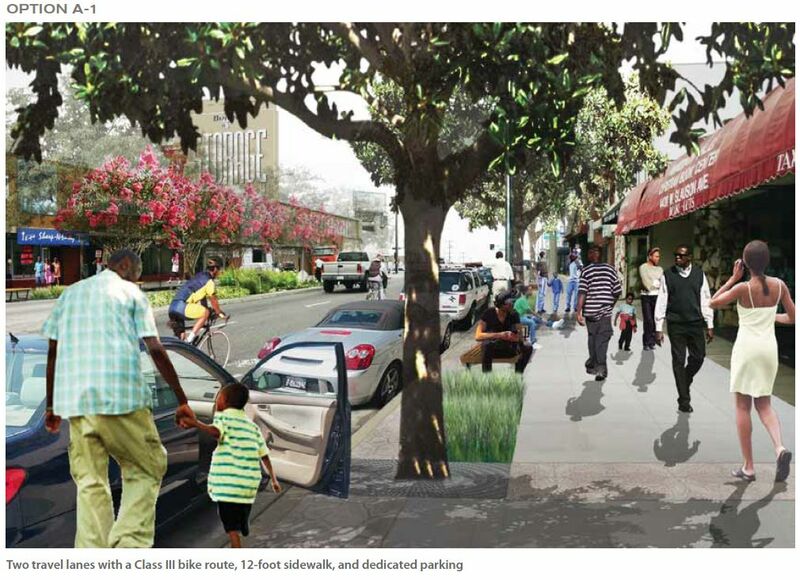 The residents’ vision will help shape the work of Commons, the Leimert Park-based civic art non-profit, which has been tasked with helping community stakeholders identify the distinctive cultural assets that characterize the Slauson Corridor. After two “branding” meetings over the course of the next six weeks, the organization will create a vision plan that will help guide the development of public improvements, branding and economic development for the neighborhood. 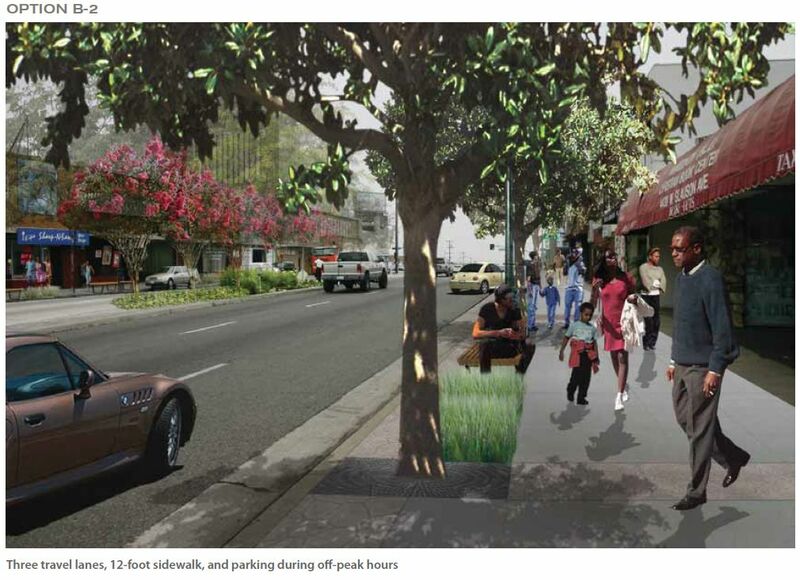 On December 3, the Department of Public Works, in coordination with the Public Improvements Taskforce, hosted the first meeting on the Environmental Impact Report for the Slauson Ave Streetscape at the Junior Blind. The public comment period to weigh in with feedback and concerns runs through December 15. Click here to download a Comment Form. 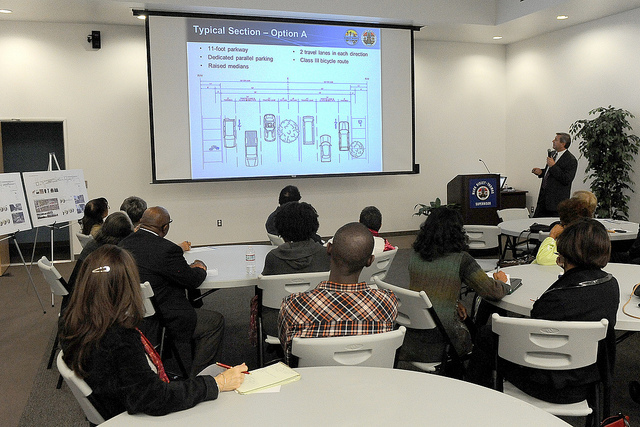 Click here to download a copy of the Department of Public Works presentation. Click here to download an Environmental Checklist. Click here to download the Notice of Preparation. L.A. Commons will host a final branding meeting and community event celebrating the work done to re-imagine the corridor and showcasing local businesses on Saturday, December 15 from 1:00 p.m. to 4:00 p.m. along the Slauson Corridor. Click here to download the flyer. Click here to download a status report from September 2012. Since we launched the Slauson Avenue survey, hundreds of you have responded. You have made a difference by voting for your preferred improvement to the corridor. Your opinion has mattered – as have your questions. In response to your feedback, the Department of Public Works is moving forward with an environmental impact report to analyze five streetscape options. They are currently analyzing the environmental impacts of each of the alternatives. These updated proposals reflect your feedback. Two travel lanes, 16-foot sidewalk, and dedicated parking. Three travel lanes with a Class III bike route, 8-foot sidewalk (same as existing), and parking during off-peak hours. Three travel lanes, 12-foot sidewalk, and parking during off-peak hours. One travel lane with a Class II bike lane, 20-foot sidewalk, and dedicated parking. 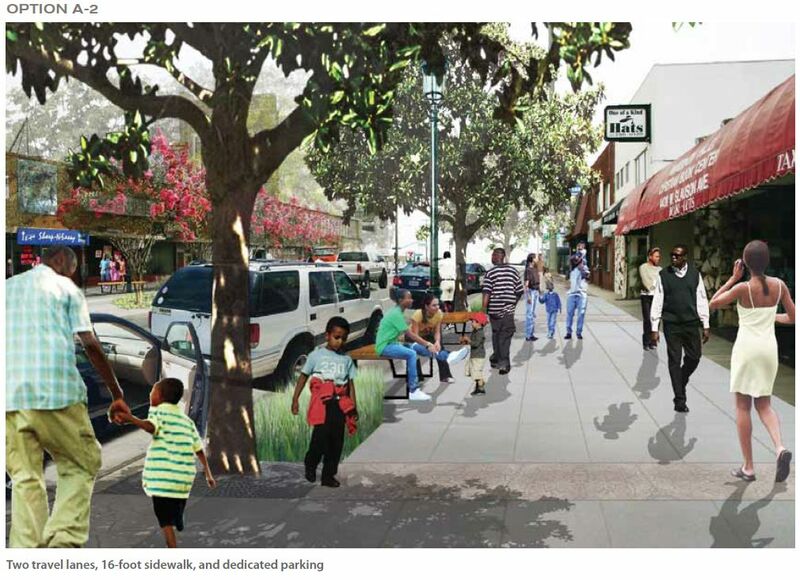 On November 28th, 2011, representatives of the View Park, Windsor Hills and Ladera Heights communities joined forces at the Public Improvements Taskforce meeting to discuss strategies to improve the livability, accessibility and walkability of the Slauson Ave corridor. Strategies discussed included widening side walks, adding bike lanes, increasing landscaping within the medians and the pedestrian right of way, as well as reducing traffic lanes. Also, view this community survey that seeks to identify what future uses along Slauson are most supported by the surrounding residents. Click here to take the community survey. Supervisor Ridley-Thomas and representatives of the County’s Department of Public Works met with Slauson residents to provided an update on the Supervisor’s unique website public opinion poll. The poll attracted more than 800 responses from concerned community members. Using his website as an access point, the Supervisor presented eight alternatives to the community including written materials and diagrams describing the features of each. 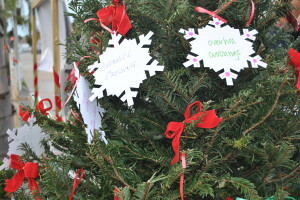 Community members were invited to express preferences among the various possibilities. 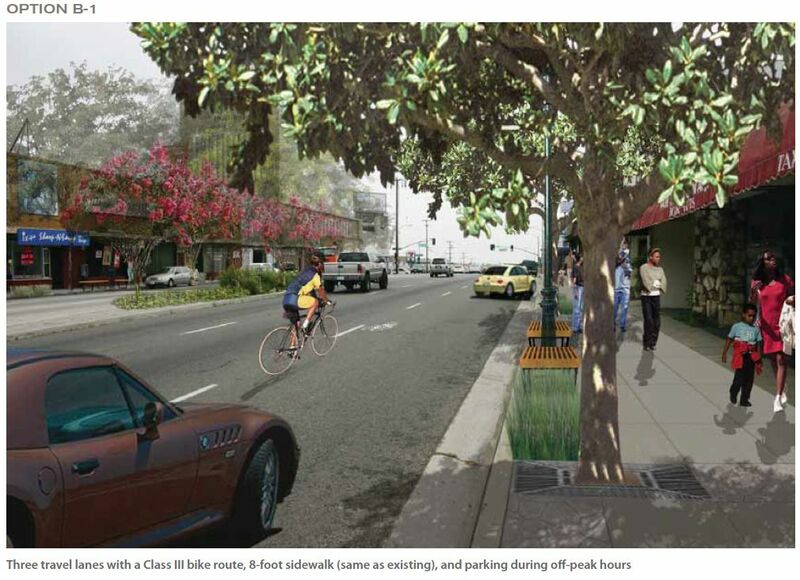 The fundamental differences between the alternatives were over the number of traffic lanes on Slauson Avenue, the width of sidewalks along the Avenue, and provisions for a Class III bicycle lane. The results of this survey are on the Supervisor’s website. The number one choice was Alterative D-1, which offered 20 foot-wide sidewalks to enhance the pedestrian retail and outdoor restaurant experience along Slauson between Angeles Vista and Overhill. 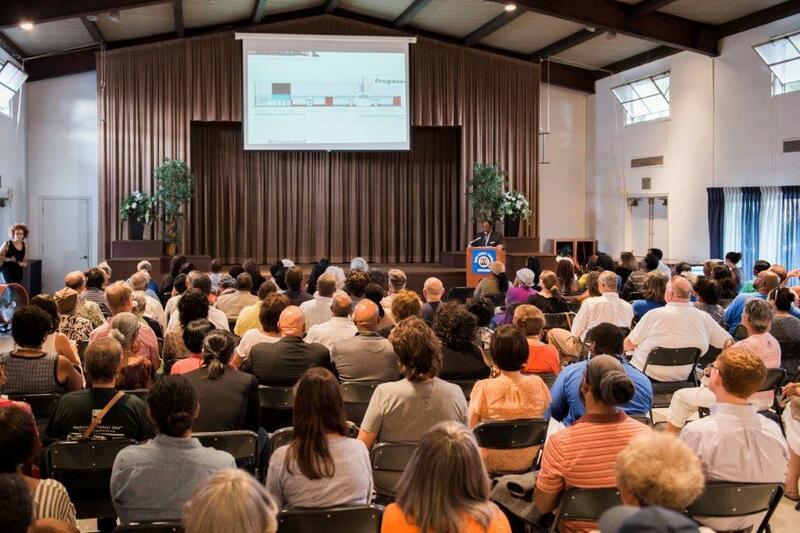 At the community meeting, there was vigorous public discussion about the survey results. From this discussion came a consensus to move forward with an Environmental Review of five alternatives. The analysis will study one, two or three through lanes for vehicle traffic, either with or without a bicycle lane — a total of five alternatives. * This option is not necessary; a 20 foot sidewalk leaves sufficient space for the bikeway. b) providing an attractive pedestrian-oriented walking environment with restaurants and retail stores. The February 22 public meeting also featured remarks by Culver City Councilmember Andy Weissman. The Councilmember described the careful steps taken by Culver City in the highly successful revitalization of its downtown core. Stay tuned for results of the Environmental Review traffic studies as the Slauson Avenue Improvement Project moves ahead.